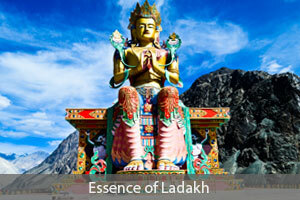 Immerse yourself in the culture of Tibetan Ladakh. 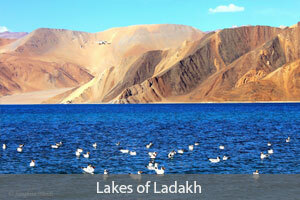 An immersion in the culture of Tibetan Ladakh. An audience with an authentic Oracle. Traditional meal with a Ladakhi family. We start the tour with an exploration of the main Leh town- chaotic at the beginning, but with a number of hidden treasures. Walk up to the old Leh Palace, overlooking the main city. The old kings of Ladakh used the same architect as that of the Potala, and seems to have ordered the architect's hands cut off after the costruction, so that a similar building could not be built again. Also visit the LAMO (Ladakh Arts and Media House) house, a beautifully restored old house of the Munshi family. The main market is a noisy muddle, with ladies in traditional clothing sitting on sidewalks, selling organically grown vegetables. End your day with a view of the Leh town from atop the Shanti Stupa. 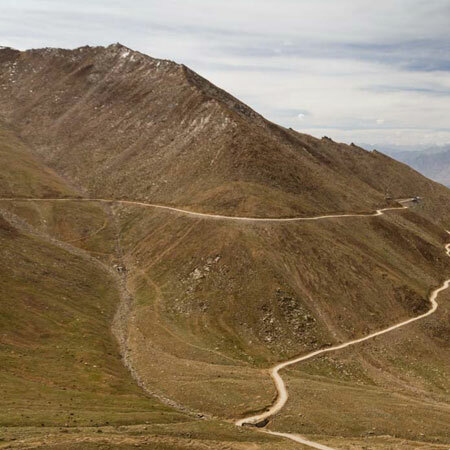 Time to jumpstart the tour with an exciting drive up Khardung La, considered to be the highest motorable road in the world. The drive itself is adventurous, with glorious views of the Leh town left behind, and majestic views of the Nubra and Stok ranges from the top of Khardung La. 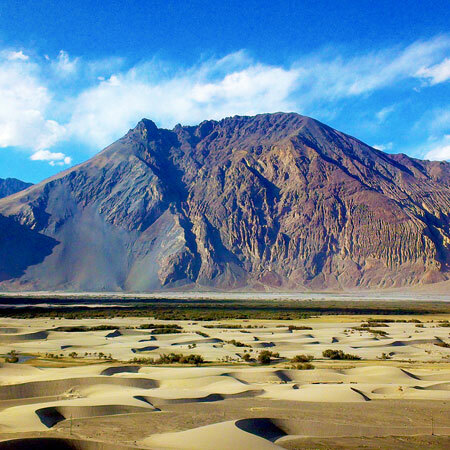 Descend into Nubra valley, and drive to Diskit village, with the icy blue Shyok river meandering past on your right. Explore the Hunder village, and visit the sand dunes here for a ride on the Bactrian camels, remnant of the ancient trade between Ladakh and Yarkand. 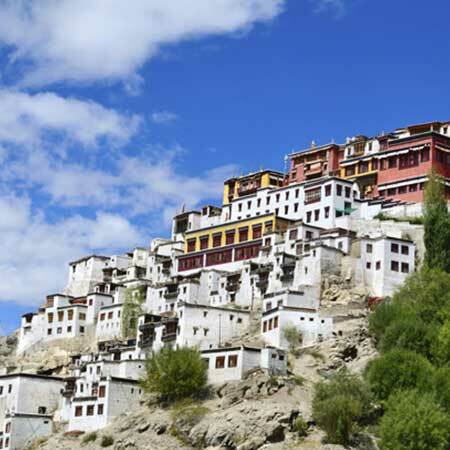 In the evening, visit the Diskit monastery, from where you get a bird's eye view of the Nubra valley. 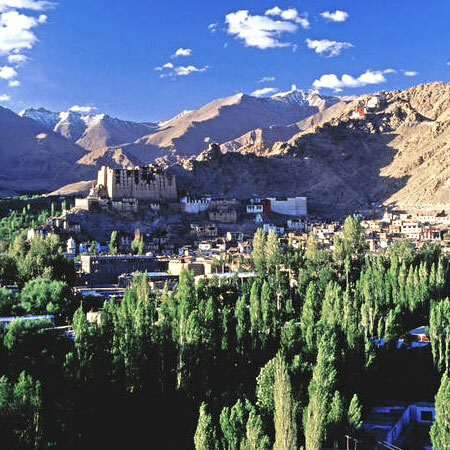 Explore the village of Turtuk, a muslim village a few kms from the Line of Control. You see a completely different side of Ladakh here, for not only is it more heavily wooded than the rest of Ladakh, but the people are culturally very different from other parts of Ladakh. Visit the house of the Balti Chief, who will take you through his family tree and reminisce about the past. Return back to Hunder. After a leisurely breakfast, drive back to Leh. Evening at leisure to unwind. A day packed with adventure, wake up with the sun to attend the early morning prayer ceremony at Thiksey monastery, one of the two famous monasteries in the Indus valley basin. After a light breakfast at the monastery cafe, drive to Hemis monastery, the richest in the region. Drive to the Stok village to lunch with a local Ladakhi family in their traditional home, and visit the museum at the Stok palace, the current home of the royal family of Ladakh. A highlight for most, meet with a 'Lha' or Oracle. In the Himalayan tradition, these oracles are revered as spiritual healers and are also said to be able to divine the future. Spend the evening exploring the town on your own, and shopping for souvenirs. A unique trip that highlights the three lakes of Ladakh- this one is a photographer's delight, as well as a chance to meet the nomadic tribes of the Changthang region.